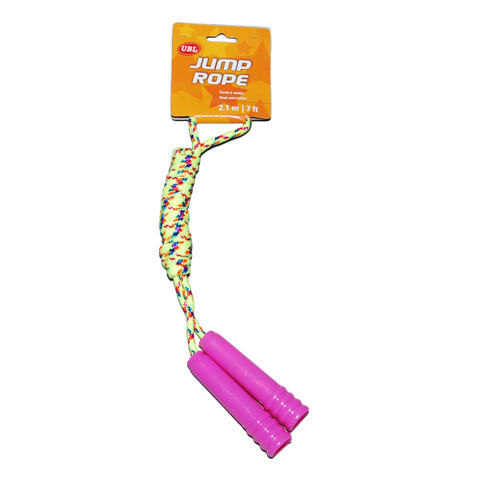 Jump Rope 2.1M 3Asst. 2.1m Length l 11cm Handle l 0.7cm Width Of Rope. Available in 3 Assorted Patterned Colours. Plastic. 34G Packaging: Card.